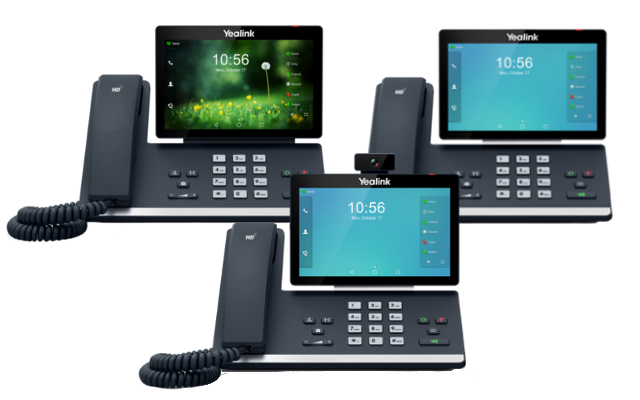 Did you know you can transform the capabilities of selected Yealink desk phones with the new DD10K DECT dongle? Ideal in environments where wiring or cabling may not exist, the DD10K dongle enables users to enjoy wireless communication with the following phones. With the use of the DD10K DECT dongle and the W60 DECT base station, both the T41S and T42S can be used as DECT handsets. Alternatively, you can transform any of the T56A, T58A or T58V to a DECT dongle and register up to 4 compatible W52H, W53H or W56H DECT handsets. The DD10K DECT dongle can be purchased as a standalone item or as part of the W41P package. 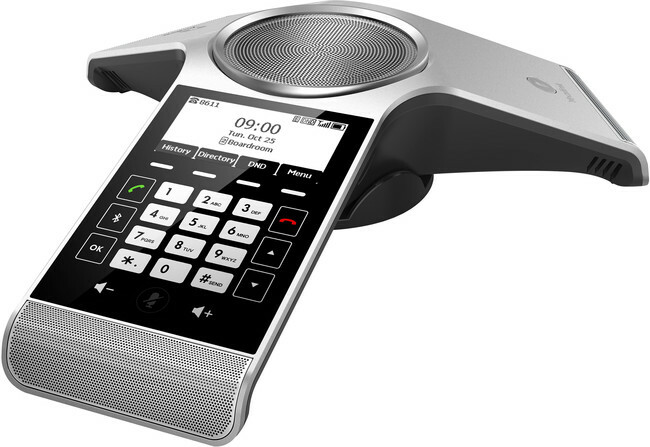 Consisting of a DD10K DECT dongle, the T41S desk phone and W60 DECT base station, the W41P offers the entire solution, making it easy for users to get up and running. 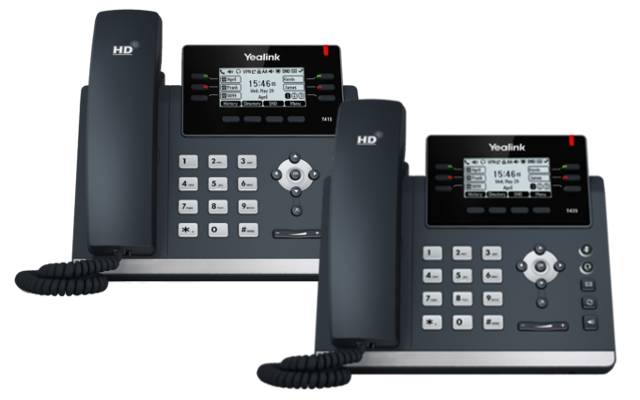 Transform the capabilities of selected Yealink desk phones with the DD10K DECT dongle. Compatible with the T41S, T42S, T56A, T58A and T58V, the dongle enables you to use the T41S/T42S as a DECT phone when used with the W60 base station. Or you can transform the T56A/T58A/T58V into a DECT base station ready to connect with additional DECT handsets. Ideal for locations where wiring/cabling may not exist, the W41P DECT package provides the entire DECT desk phone solution. Consisting of a T41S desk phone, W60B DECT base station, and the DD10K dongle, the W41P makes it quick and easy to get up and running. 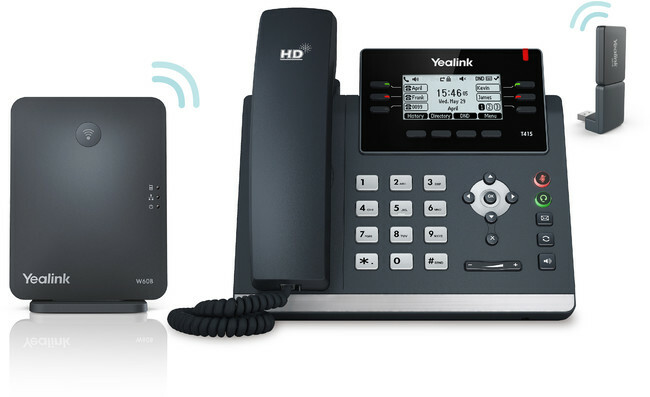 Meet Yealink’s first wireless DECT conference phone, the CP930W. Offering a truly flexible solution, the CP930W can be paired with the W60B DECT base station, connected to smart phones via Bluetooth or linked to a PC/tablet via micro USB. With a DECT base coverage of 50m indoors and up to 300m outdoors, the CP930W can also be used with 2 additional DECT handsets when used with the W60 base station. 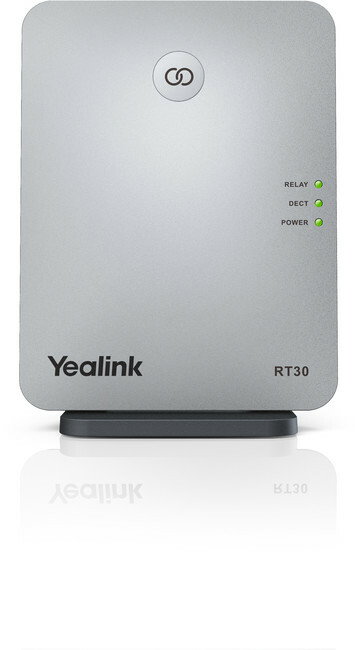 Extend the range of the W52P, W53P, W56P and W60P DECT solutions with the new RT30 DECT repeater. With support for up to 6 repeaters per base station and the ability to daisy chain repeaters in pairs when used with the W60 base station, users can significantly increase the coverage of their DECT solutions.